A joint venture to develop Shelly Bay could begin by the middle of the year, with the iwi’s new board confirming plans after a fresh round of consultation. The latest step in an on-again, off-again plan, the approval appears to clear the way for a major new housing and commercial development to the north of Wellington International Airport on the shore of the Miramar Peninsula. In September the Port Nicholson Block Settlement Trust (PNBST) announced plans for a major development of the land, acquired in its Treaty of Waitangi settlement in 2009, as part of a joint venture with The Wellington Company. The proposal for the former Air Force base came only months after members of the iwi voted down a similar plan, leading to further protests and a complaint to the Waitangi Tribunal. In October the makeup of the PNBST’s board changed substantially following its annual general meeting, leading to speculation the new trustees could back out of the development, or put the proposal to a membership vote. But on Wednesday new PNBST chairman Wayne Mulligan issued a public statement, confirming the development would go ahead. “This is good for our iwi and the future of Wellington. The joint venture will provide the trust the ability to recover and gain from its original investment. Shelly Bay currently represents about 60 per cent of PNBST’s asset base, but Mulligan said the returns were poor and were constraining its development. “The current state of the buildings and infrastructure requires huge investment and capability from a highly reputable property developer,” Mulligan said. After becoming chairman, Mulligan held a number of meetings with iwi members in an attempt to ease concerns about the development and to explain the need for it, given the trust’s financial position. While the development’s progress was still subject to council consents, Mulligan hoped the project would not be put on hold again. Confirmation of the trust’s support came as the Waitangi Tribunal dismissed an application from some iwi members for an urgent hearing. The application was led by Catherine Love, daughter of the disgraced former Wellington Tenths Trust chairman Sir Ngatata Love, who is currently in jail after being found guilty of fraud. 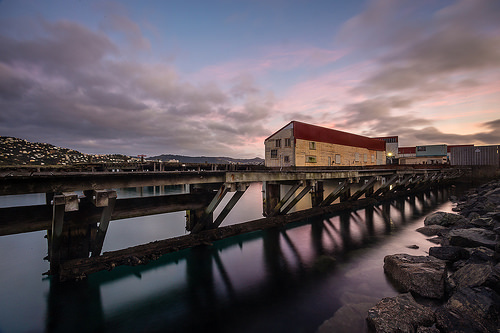 Sir Ngatata Love, a former chair of the PNBST, also faced charges in relation to the Shelly Bay site, stemming from an alleged attempt to solicit a payment from Sir Peter Jackson after the film mogul floated plans to construct a film museum there. Ian Cassels, managing director of The Wellington Company, said the confirmation if the trust’s board’s support was “a great outcome for the city and for Taranaki Wh?nui”. Some aspects of construction could be underway by the middle of the year, Cassels said, with construction ramping up in the second half of the year. When the deal in its current form was announced last year, Cassels and former PNBST chairman Neville Baker indicated a resource consent for the site, which could be home to 800 people, would be applied for “immediately”. The plans also included retail space, restaurants and a boutique hotel. Buildings on the site, which was owned by the Defence Force for more than a century, have been lying derelict for years, with a growing number in disrepair.